McDonald's is giving away a chance to join the ranks of people like Bill Gates and Warren Buffett and get free fast food for life. Here's how to enter. McDonald’sMcDonald’s is giving away free fast food for life. 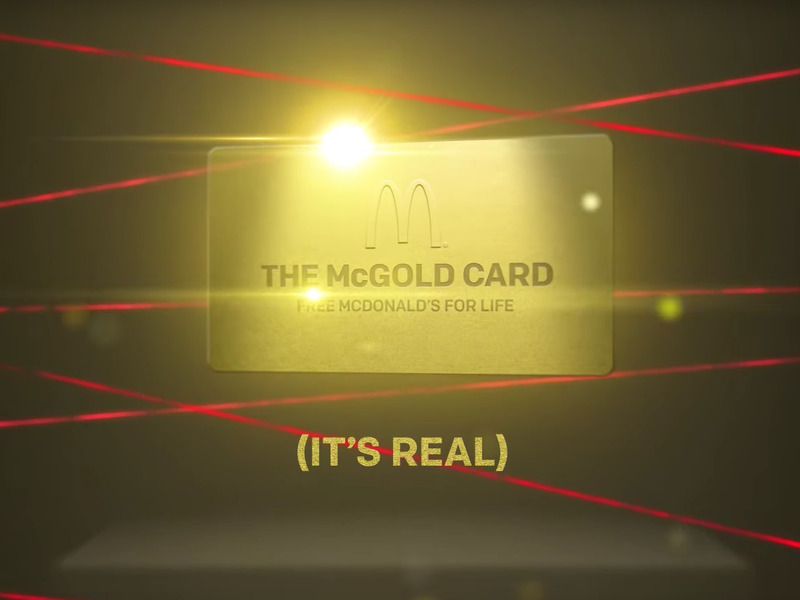 McDonald’s is offering a lifetime of free fast food with the McGold Card Sweepstakes. Anyone who orders using the chain’s mobile app from August 10 to 24 is automatically entered to with a lifetime of free McDonald’s. McDonald’s “Gold Card” is the stuff of myths, with people including Bill Gates and Warren Buffett receiving the card over the years. McDonald’s is about to offer one lucky person a lifetime of free fast food. Starting Friday, any person who orders from McDonald’s using the mobile order-and-pay app is entered to win the McGold Card sweepstakes, which guarantees the winner free fast food for the rest of their lives. Every day you order at McDonald’s from August 10 to 24, you are automatically entered in the sweepstakes to win free McDonald’s for life. Customers are restricted to one entry per day. The fine print of what “free McDonald’s for life” really means: enough money to buy up to two meals a week for 50 years, or the equivalent of more than $US52,000, according to the company’s website. The winner will be alerted via email or on their McDonald’s app. McDonald’s “Gold Card” is the stuff of legends. 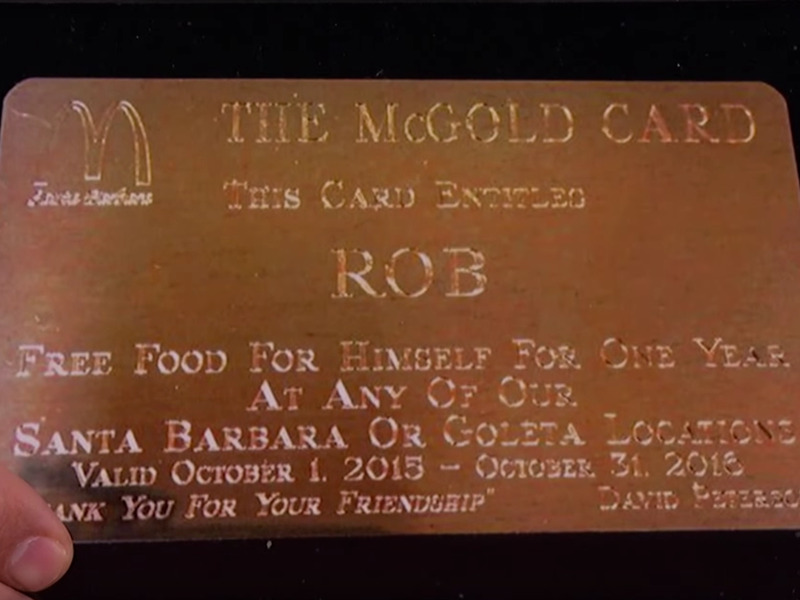 McDonald’s franchisees across the country sometimes offer local heroes free food with their own versions of the card. The actor Rob Lowe has bragged about having a McDonald’s Gold Card thanks to a connection to Herb Peterson, the McDonald’s franchisee who created the Egg McMuffin. And Warren Buffett told CNBC he had a McDonald’s card that allowed him to order unlimited food for free in Omaha. However, there are only two major confirmed stories of people possessing cards granting them free, unlimited McDonald’s meals anywhere in the country, or even the world. While campaigning for president in 2012, Mitt Romney told a story of how his father had a “little pink card” that awarded him free McDonald’s for life.McDonald’s confirmed that its founder Ray Kroc had given him the card. The other lucky recipient of a lifetime of free McDonald’s – not a little pink card, but a bona fide Gold Card, according to the company – is Bill Gates. According to Buffett, Gates’ card works worldwide. But it’s unclear how often Gates stops by McDonald’s these days, since the Gates Foundation Asset Trust liquidated its position in the fast-food company in February 2015.